The Statue of Liberty is closing Friday for a year’s worth of repairs, which is the inspiration for this Wednesday photo. Friday is also the 125th anniversary of the dedication of the French gift by Pres. Grover Cleveland. I have seen Lady Liberty a few times throughout my life, including nearly every day in summer 2008. 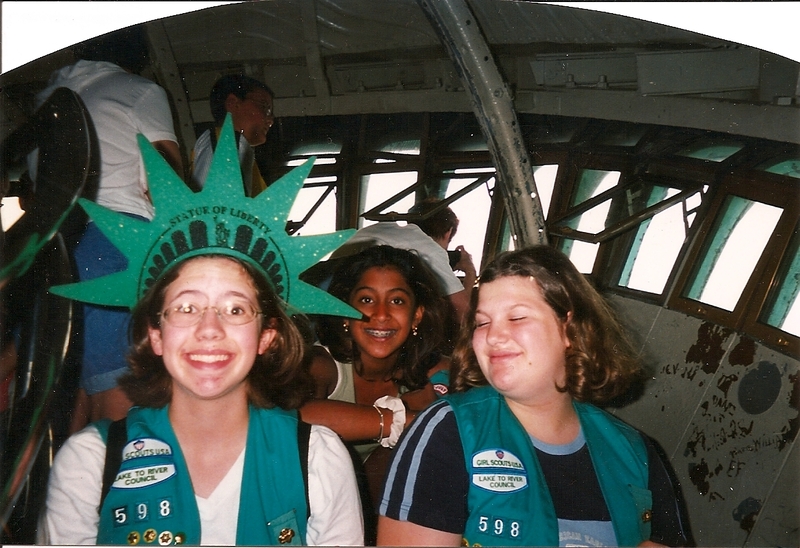 The first was in 1999 on a Girl Scout trip to New York City. When I think of the statue, this is what comes to my mind. I'm wearing the foam Statue of Liberty crown in the crown! I don’t think I’ve worn that crown since that day (I posed in pictures at ground level with the crown, too), but it was pretty funny. Now that the crown has reopened, I would be tempted to do it again. I bet you can’t lean out the windows anymore like that guy in the white shirt behind us, though. To read more about the upcoming closure and construction, read this story by Time: Sorry, Tourists: Statue of Liberty Will Close for a Year. Liberty Island will be open throughout the construction. But always remember that the Staten Island Ferry is free and offers spectacular statue views from the water. There’s a pretty nice viewing area at the Ikea in Red Hook, Brooklyn, too. This entry was posted in North America, Photos, U.S., Wednesday photo and tagged Architecture, Art, History, New York City, Photos, Travel. Bookmark the permalink. It’s a wonderful place. I hope you get to cross NYC off your list soon. When there, you could visit two baseball stadiums, too! 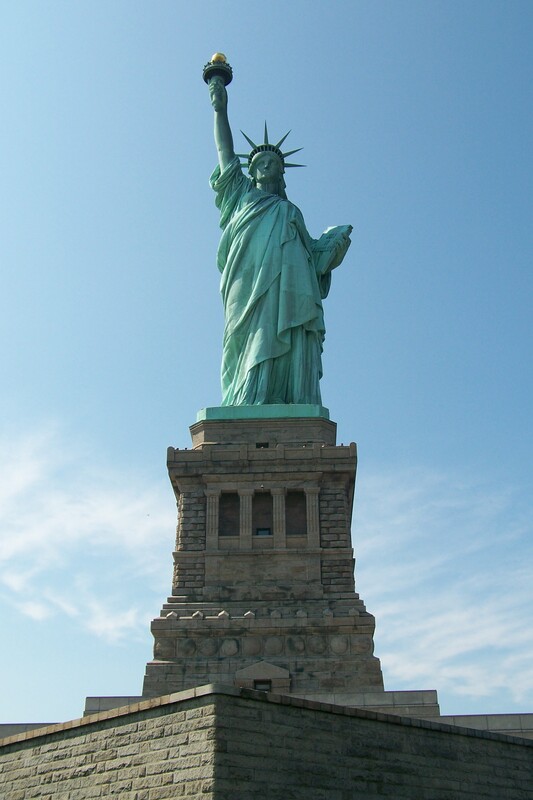 I had been to NYC in summer 2008, but i didn’t get to go inside the statue.. I got to see it from the sea though on a cruise! I definitely want to go back and go all the way up at some point! Thanks, Marina! Yes, the view was quite wonderful from the top. I definitely recommend it! Haha, yes, that is a good idea!